The global automotive market is currently being enlivened by segment Sport Utility Vehicle (SUV). Therefore, the SUV made a major contribution to the manufacturers. Vokswagen (VW) would want to seriously work on an SUV. Seeing the demand is not too high a classic Beetle, VW will offer the SUV version..
VW Beetle version of the SUV will be available in 2019. Previously, VW also has to show the concept of Dune Beetle is approved for production in 2016. The difference SUV Beetle with Dunne is on the body. SUV possibility Beetle will have a bespoke body kit, while Dune only have Alltrack-style. To make Beetle SUV, VW MQB platform will transform into like a coupe. It will give you an advantage in terms of weight, structural rigidity and power train types that can be used. This model is clearly targeting the lifestyle shaped compact vehicle market for urban adventurers. 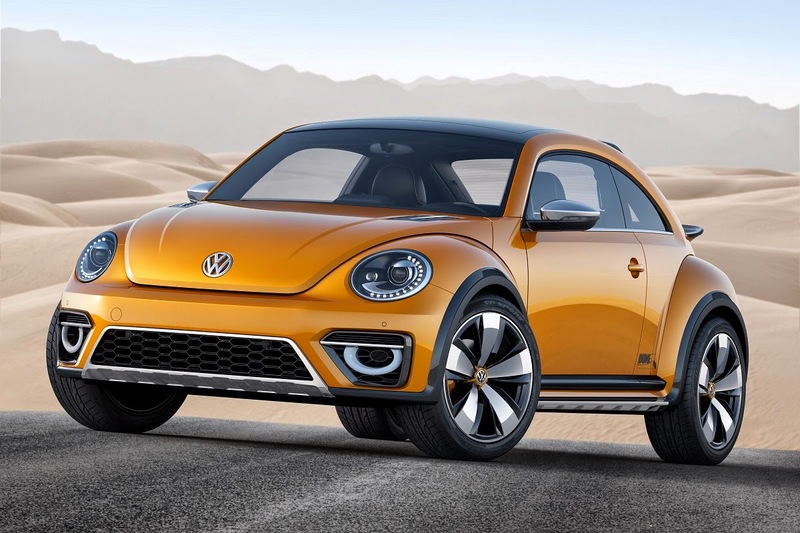 According to an anonymous source at VW, Beetle SUV will have a hybrid engine option for the US market with the same 204 horsepower engine GTE Golf. This model will come with improved suspension system and 4Motion all-wheel drive. No Comment "2019, VW Beetle Shaped Offer SUV"